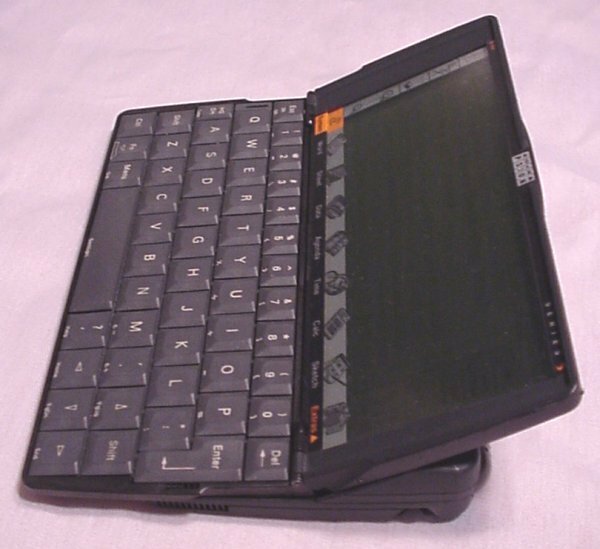 Psion doesn't make consumer palmtops anymore. It's a crying shame, because they were really good at it. The Series 5 is a prime example. The keyboard works great. (Well, to be honest, a few of the keys on mine stick a little bit.) The screen has a strong backlight. (Although it could stand to be sharper.) It runs for weeks on 2 AA batteries. It has 8 megs of RAM. (The later versions came with 16 megs and an updated OS.) You can stick a Compact Flash card in it. It can record audio, either by running a program or just pressing the recording buttons on one edge. And it has a touch screen. It runs the Symbian OS, which pulls a ton of performance from those 8 megs. Yes, Psion made great little palmtops. But Microsoft is bigger. Side view. Notice how the keyboard is slid forward from the unit. Case closed. When you close it, the keyboard slides back into the case. The closed unit is much smaller that you would think it could be given the size of its keyboard. Click here to view all comments for the Psion Series 5 and to leave your own. 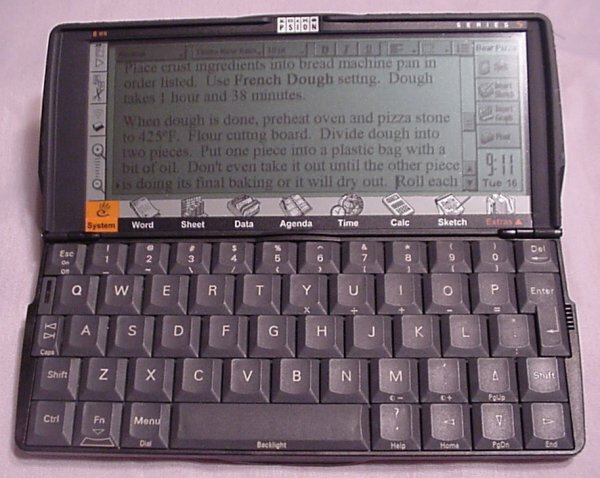 Click here to view comments about other Psion computers.